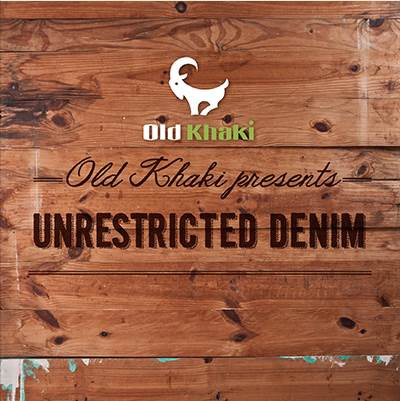 Founded in 1999, Old Khaki is a lifestyle brand comprising men and ladies casual wear, footwear and accessories. Old Khaki represents a lifestyle - unrestricted and uncomplicated, it is a vibrant, urban clothing brand that boasts the tag line 'Unrestricted'. Old Khaki clothing is made according to high standards, is durable and affordable but above all, it is unaffected. It doesn't need to make a statement. From fashion basics to key trend pieces, rugged denims, must-have accessories and authentic footwear, Old Khaki clothing is complete with a worn, vintage look, which makes the clothing real. Old Khaki reflects who you are. Follow the Old Khaki blog for updates on all things cool. For fashion, music and updates on what is hot, where to go and real people, visit www.unrestrictedliving.co.za and sign up to receive regular updates. Find us on Facebook (www.facebook.com/oldkhaki) and twitter (www.twitter.com/@old_khaki) and start living the Unrestricted Lifestyle.